Plug-in hybrid with 31 miles of electric range. Barely two months have passed since Volkswagen last showed a concept SUV, so by the company’s internal timeline we’re long overdue for another. 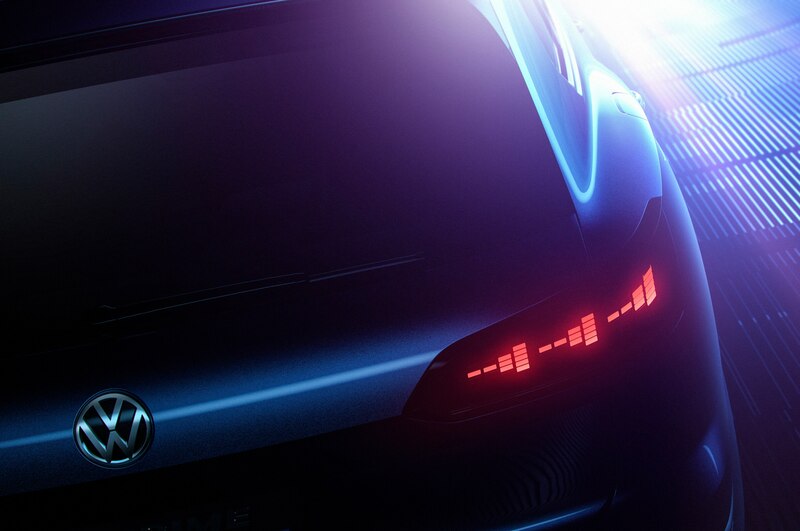 Ahead of the Beijing auto show, Volkswagen is teasing a premium SUV concept with a lounge-like interior, a digital infotainment display, and a plug-in hybrid powertrain. 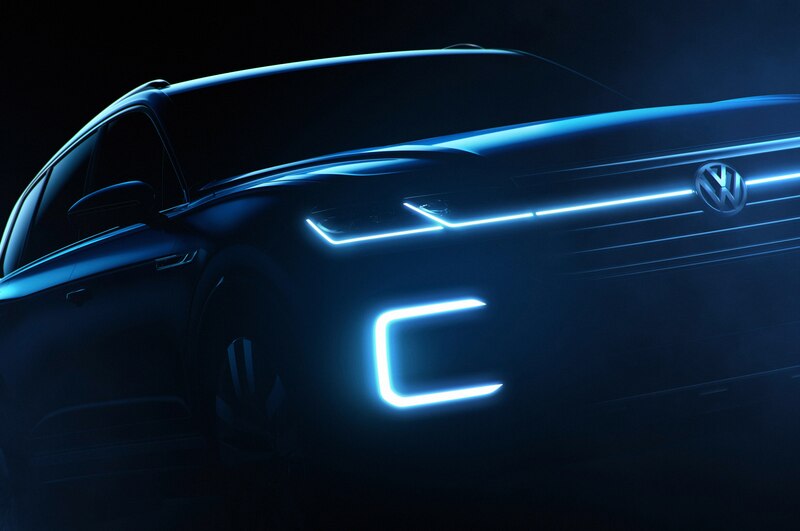 More so than the earlier CrossBlue concept that previewed the three-row SUV expected to debut this year in the U.S., this new Volkswagen SUV concept is focused primarily on advanced technology. 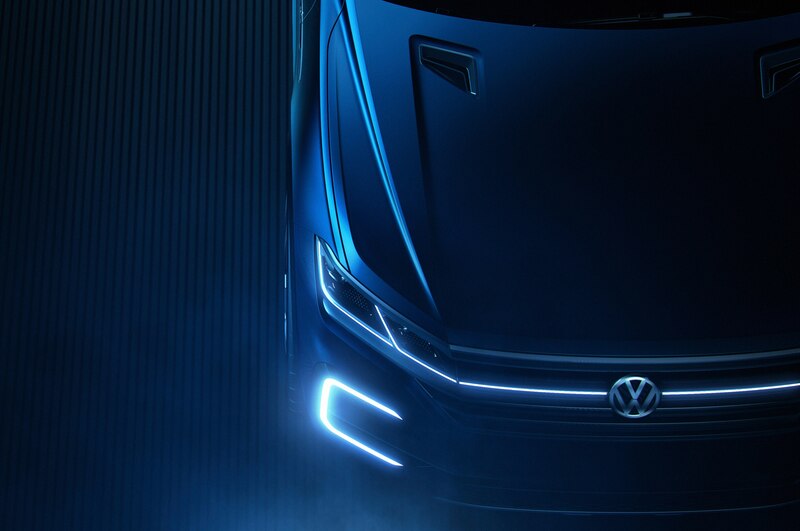 Advanced lighting design is one of the first ways we see this, with a new boomerang-shaped headlight signature that extends straight across the grille and through the VW emblem. The shape is echoed in the foglight housings below with thick C-shaped LED daytime running lights and horizontal bars on the side mirrors. At the rear are distinctive LED taillights with digital horizontal bars built in. Although we won’t have a look at the interior until the Beijing show or close to it, VW’s newest concept promises to have a highly advanced, interactive digital display system. The new design is apparently part of a lounge-like interior, clearly appealing to the chauffeur-driven passengers who will make up much of the audience at the Beijing show. Expect advancements like gesture control and touchscreens to play a big role. Another clear nod to the Chinese market is the concept’s plug-in hybrid powertrain. Full details still aren’t being released, but we know that the SUV concept boasts an all-electric range of 31 miles. Total system output is 376 hp and an impressive 516 lb-ft of torque, undoubtedly offered with all-wheel drive. The concept is said to sprint from 0-62 mph in 6.0 seconds on its way to a top speed of 139 mph. The earlier Cross Coupe GTE concept from the 2015 Detroit auto show also used a plug-in hybrid powertrain, so something similar could be employed this time around. The Cross Coupe GTE used a 3.6-liter gas-powered V-6 engine with two electric motors (one at each axle) for a total of 355 hp. 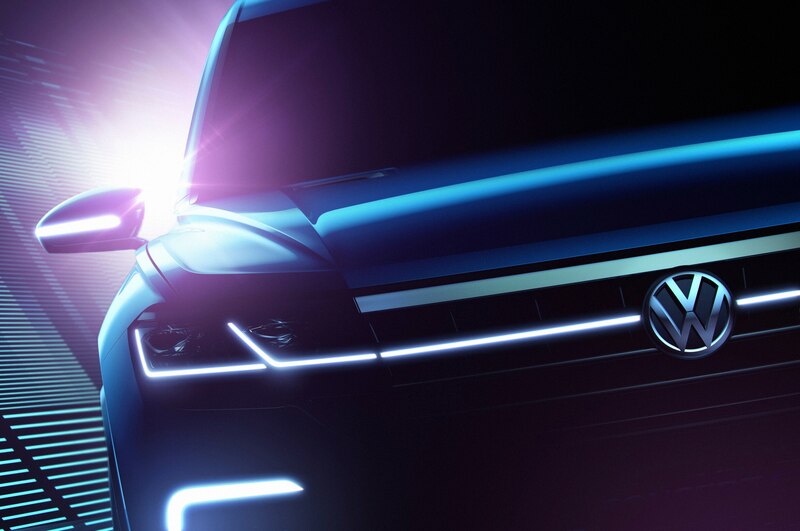 Check back soon for more details on the latest Volkswagen SUV concept as the Beijing auto show approaches.